In a letter to Sen. James Lankford (R-OK) — one of the backers of an amnesty plan for the nearly 800,000 illegal aliens shielded from deportation by the President Obama-created Deferred Action for Childhood Arrivals (DACA) program — Kirsanow said an amnesty for illegal aliens would continue to increase the burden that both illegal and legal immigration currently has on African-Americans. Because it appears that a significant number of senators and congressmen continue to favor amnesty without a wall, it is important to re-emphasize a rarely-discussed effect of granting legal status or effective amnesty to illegal immigrants. Such grant of legal status, without serious, robust immigration enforcement, will likely disproportionately harm unskilled American workers, particularly lower-skilled African-Americans, by making it more difficult for them to obtain employment and depressing their wages when they do obtain employment. The increased employment difficulties will likely have negative consequences that extend beyond the economic sphere. 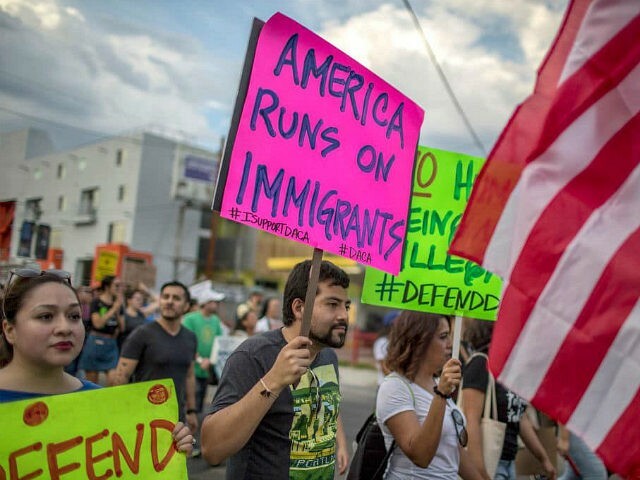 Kirsanow urged Republicans to enact pro-American immigration reforms before an amnesty is considered to ensure working-class Americans, and specifically African-Americans, are not further harmed by amnesty and continued mass immigration. Though President Donald Trump seems to be more open to a DACA amnesty following negotiations at the White House, his position in the debate has remained that he will only sign off on an amnesty deal if it ends chain migration, which has imported 9.3 million foreign nationals since 2005; ends the Diversity Visa Lottery program, which randomly gives out 50,000 visas to foreign nationals around the world every year; and fully funds a border wall constructed on the U.S.-Mexico border. Every year, the U.S. admits more than 1.5 foreign nationals, with the vast majority deriving from family-based chain migration, where naturalized citizens are allowed to bring their extended family members to the country. In 2016, the legal and illegal immigrant population reached a record high of 43.7 million. By 2023, the Center for Immigration Studies estimates that the legal and illegal immigrant population of the U.S. will make up nearly 15 percent of the entire U.S. population.